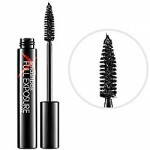 This week, Official Mascara Correspondent Ashleigh Ciucci lengthens her lashes with Kat Von D Immortal Lash 24 Hour Mascara. How does she fare? Read on and find out. 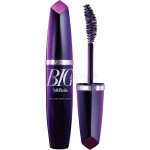 I should first mention the dramatic shape of this mascara’s brush: it looks like a dragon, okay? I’m not sure if I’m influenced by Kat Von D’s goth nature, but the wand itself is red, the rubbery bristles have a crazy spiral with a spiked ball tip. Very reptilian, no? Moving past this, I was very curious to see how this brush paid off. My lashes are relatively long and even with the utmost care I got the mascara all over my eyelid. I’m not sure if it’s the combination of the spirals and spike or the length of the bristles but it took quite a bit of clean-up. 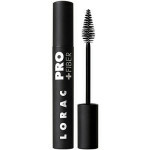 One coat was very soft and separated; my lashes were long with very little volume. 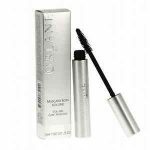 A second coat gave me a bit more depth at the lashline but my lashes still looked very tame. 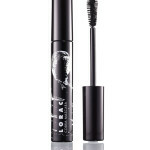 The formula was too dry and led to a brittle-y feel with my touch-up in the afternoon. 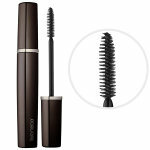 It should also be noted that this mascara washed off with soap and water; hence x-ing out its 24hr claim. This one has a lot of bells and whistles but doesn’t deliver. Don’t buy this one.